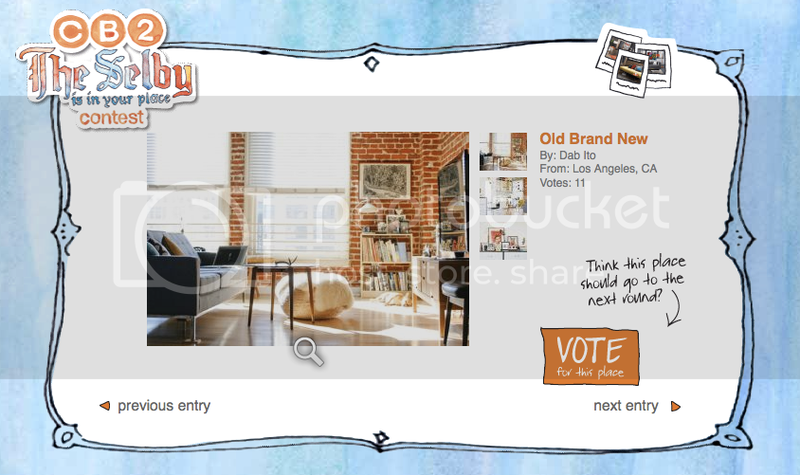 So I'm in the running to be in CB2–The Selby's next top home! If you've enjoyed my recent home sweet home tour, please vote for Old Brand New to make it into the final top 50 for a chance of a lifetime—a photo shoot with the talented Mr. Todd Selby of The Selby is in Your Place. It's one of my favorite sites featuring extraordinary people from all over the world in their most creative spaces. And how can I forget about the sweet prizes from CB2?! I can use some brand newness to mix things up in my place. So let's make this happen. With only 21 votes so far, I need all your love and help. Thanks everyone!